A 2G MAF is a very quick, cheap, and easy modification on a 1G. The 2G MAF is much larger than the 1G MAF. 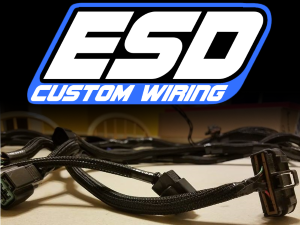 The wiring is pretty straight forward but there are two ways you could do this. 1- Hard wire the 2G MAF plug onto the factory 1G wiring but cutting off the 1G MAF plug. 2- Gut your 1G MAF and remove the female 1G MAF plug and make a plug and play patch harness. The option is yours. If you don’t plan on going back to the 1G MAF (why would you? ), hard wiring the 2G MAF plug onto the 1G harness is the easiest. 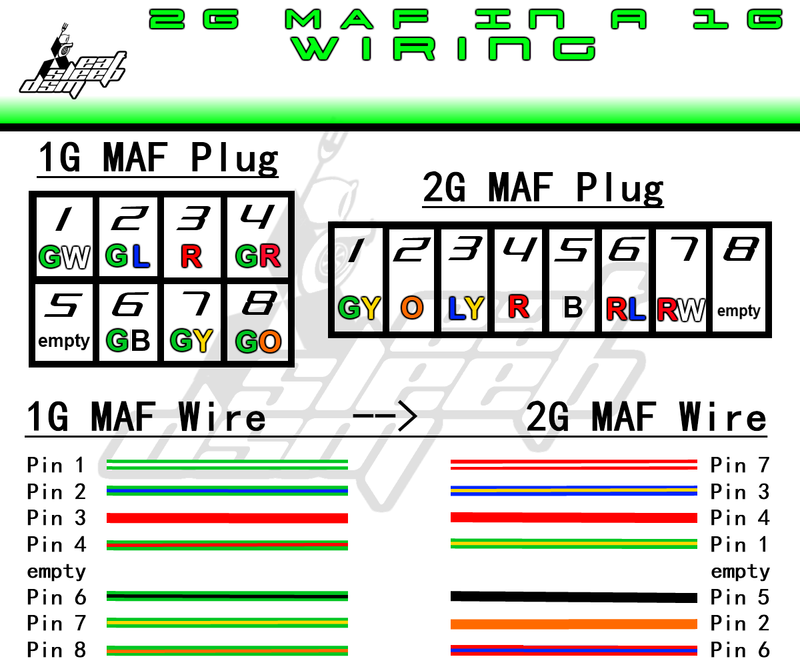 The diagram below shows you which individual wire from the 1G MAF wiring goes to which pin of the 2G plug. Get a 2G MAF plug at the junk yard or whatever and make sure you leave yourself several inches of wire. Snip your 1G MAF plug off of your harness, then wire up the wires accordingly. NOTE- 1G and 2G PTU (Power Transistor Unit) plugs are the same, but will have different wire colors.